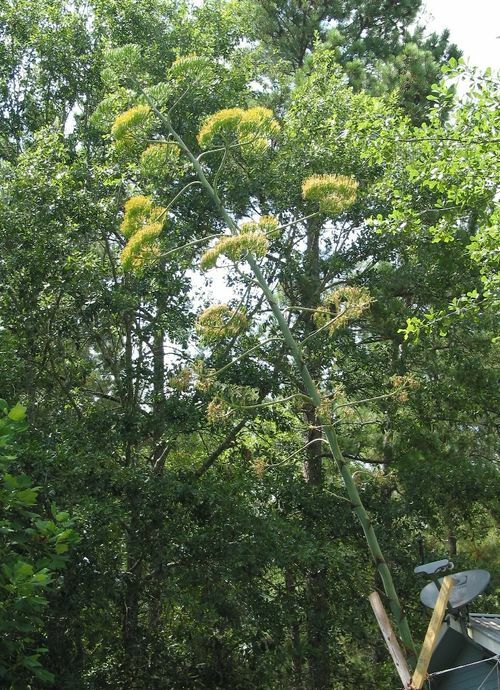 The century plant is almost in full bloom, but the earliest blooms are drying up. The top four pads are not opened up yet. I can no longer get the blooms against the clear sky because it is leaning too far into the yard. These are the best shots I can get for now. I am trying to figure out if I can straighten it up any more, but Charleen doesn't want me to drill any more holes in the house for eye bolts.